Perennial. Zone 4. Violaceae. Syn. Viola erecta; V. montana. Central and Eastern Europe, from Northern Italy and France east to Siberia and Northwest China. Natural habitat is sunny marsh meadows, moist woodland, and rocky water edges. This charming Old World woodland flower has taken to garden life with great success, and is a popular item in the various specialty garden society seed exchanges, which may ultimately save this species from extinction. 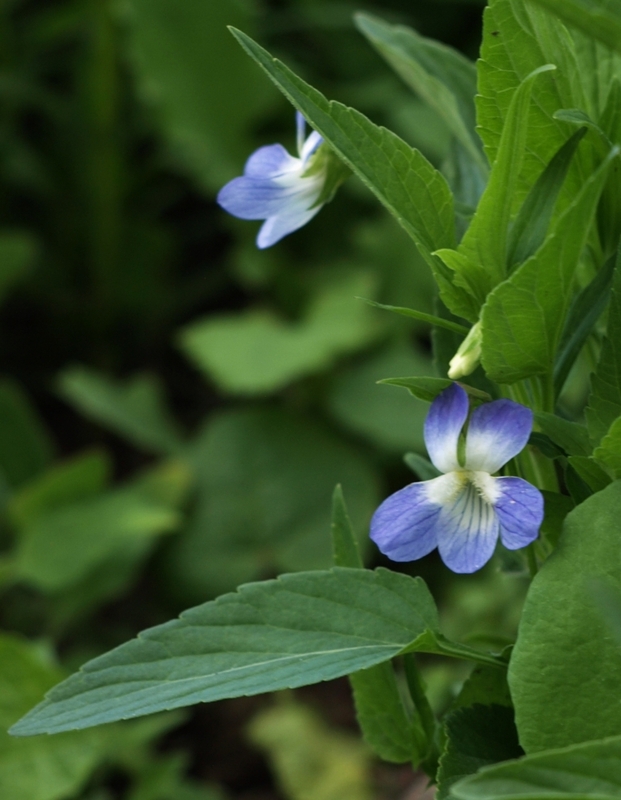 Tall Woodland Violet is becoming very rare now in much of its native habitat, due to agriculture and urban development pressures. The plant habit is an upright clump of very elongated, bright green, thinly-heart-shaped foliage. The effect is rather shrubby in well-established plants. It may reach 18 inches in height where conditions are just right; even if shorter the plant habit is very upright versus spreading. Plants are completely herbaceous, and die to the ground in winter. In May and June generous numbers of pale purple, 1-inch violets with white central shading and beards and dark purple whiskers are produced. 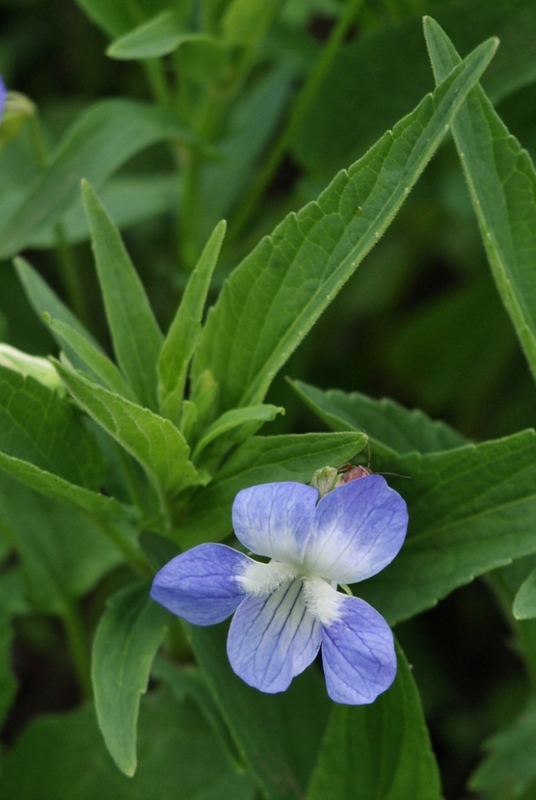 Some references mention mild fragrance; others declare Viola elatior scentless. I checked mine, and couldn’t detect any aroma, so will assume that noticeable scent is not a general characteristic of this species. The overall effect of this pretty violet is that of quiet elegance. Just the thing for a not-too-dry corner of the rockery, to set off lower-growing plants such as the miniature campanulas or Oenothera minima, or to follow small spring bulbs. Sun to part shade; appreciates humus-rich soils. Best with a steady supply of moisture, though it will handle dryer conditions if grown in shade.